Since it’s the rainy season again, we are taking you on a different level of mood and emotion through music. No, the music listed below doesn’t have any lyrics at all, requiring you to use your imagination and make a story out of it. Rainy season means more sleeping time and bumming around when the non-stop rain hits our places, so it is necessary to equate it with some good music that will take us to another dimension. When it rains and we have to stay at home, food, movies, books and sleep are not the only option but finding a new set of music will do, accompanying you to daydream and lull you to a good sleep. 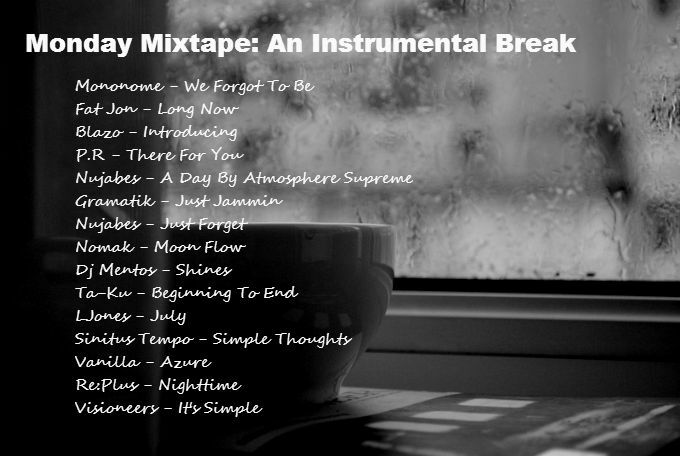 This playlist is the first of its kind on our Monday Mixtape edition, hoping that you will appreciate other music genre and expand your playlist even further. The songs here are considered as treasure because not everybody listens to it, so you have all the reasons to be lucky. Hey, instrumental music ain’t bad. That’s what you’re going to find out when you start to hit the play button for these 15 tracks.